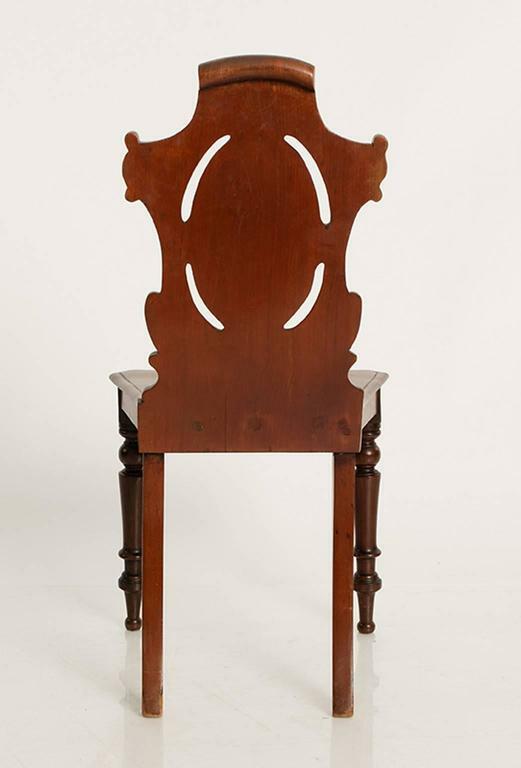 Pair of 19th century hall chairs with carved backs, turned legs, and a plank seat. 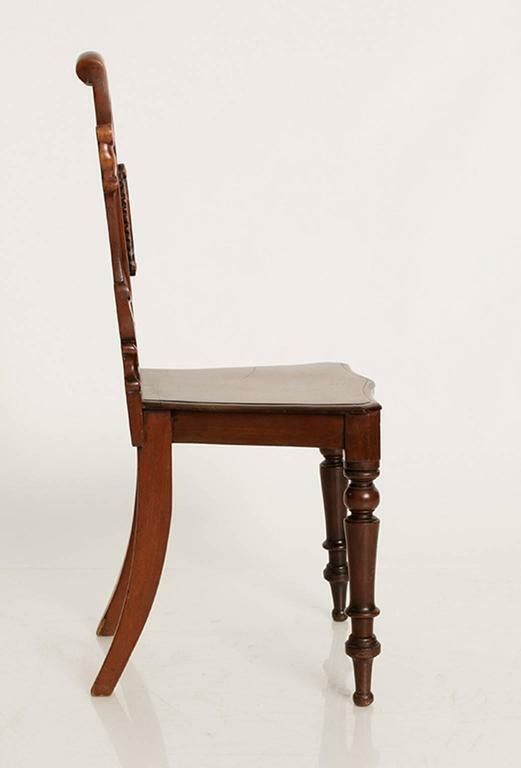 "Hall chairs" were employed by doormen and butlers in the days of formal entryways. 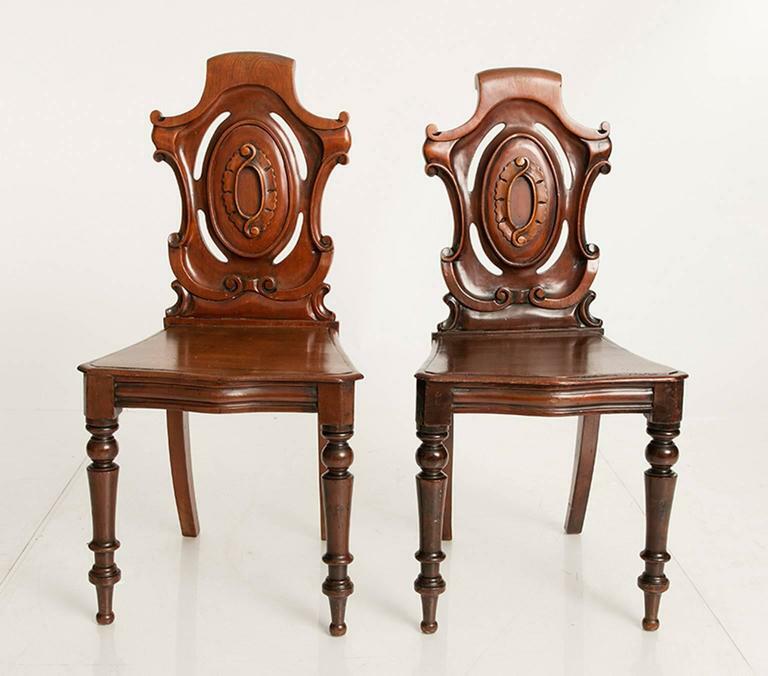 Pair of English Mahogany hall chairs, circa 1890. Pair of Industrial silver metal chairs. 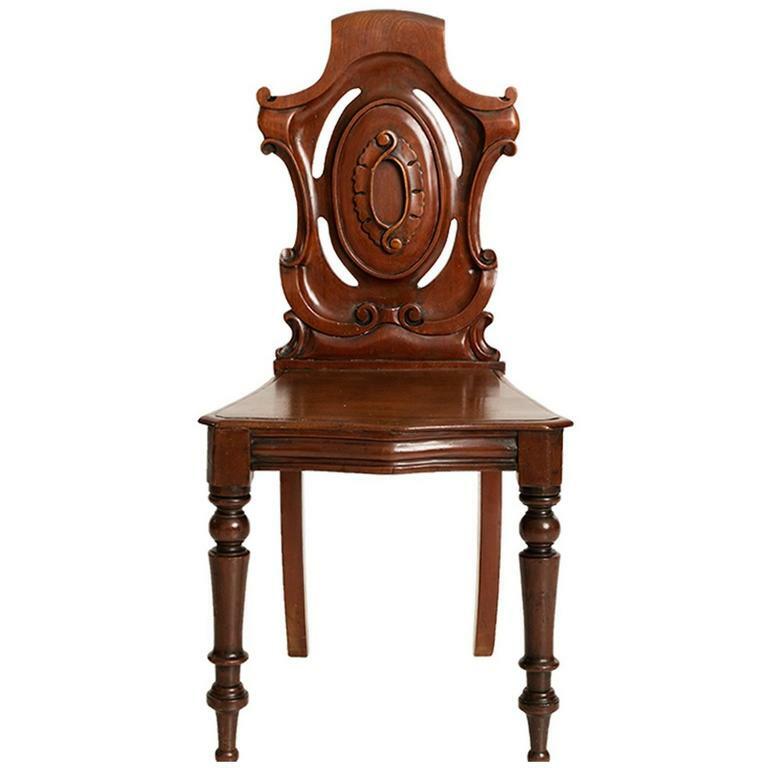 Oak Captain chair with leather upholstered back, brass nail head trim, and vase turned legs on wood castors, circa early 20th century. 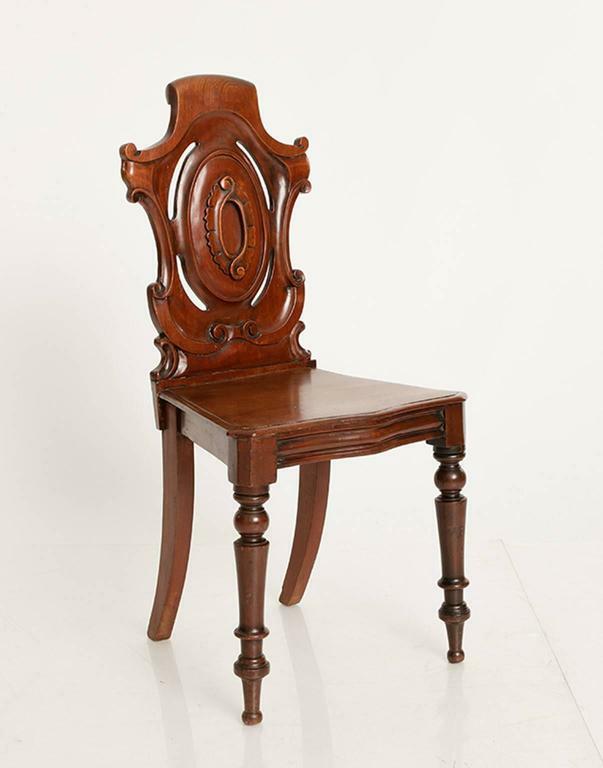 A rare Regency period mahogany framed hall porters chair. The base section incorporating a cupboard. The leather not original but has been in situ for some eighty or ninety years.